A note to my Clients, please read this important information below in its entirety before viewing class listings. Thank you! Thank you so much for your interest in my workshops and classes! The important information that follows will introduce you to the different types of information/techniques I offer for students. The explanation will help you understand, choose among many options and plan the best workshop experience for your guild/shop/show. For clarity, my classes are 6 hours and workshops are 12 or more hours with the same students. I love to teach! Because of the number of hints, knowledge and techniques I share with my students, my one-day (6 hrs) classes are for the most part an introduction or overview of the subject matter. These classes are intended for students who want a taste of the general basic concept or have limited time constraints. There is usually very limited sewing time. In my 2-day (or longer) workshops, I am able to share much more advanced, in-depth knowledge along with the additional benefits of more relaxation, personal attention to each student and sewing time opportunities. My students will have enough time to assimilate the knowledge and use their creativity and new skills to apply it to a project of their choice. Workshop Medleys…another option: The classes/workshops I teach are my basic techniques for constructing curves (Crazy about Curves), improvisation, manipulations and dimension, putting openings into quilts and color essentials. Clients may choose to mix techniques in my two day or longer workshops….this option is called my Workshop Medley. As always, I will work together with my clients to ensure they can plan and schedule the classes/workshops experience that meet their needs and expectations. If you or your organization are interested in organizing a retreat or multi-day workshop please contact me and I will be happy to work with you to set up a workshop that meets the needs of your clients. Again, I appreciate your consideration of me as an instructor. Please contact me with any questions you may have. My class/workshop offerings are listed below. In my workshops, the emphasis is always on self-confidence, a sense of adventure, persistence and inspirational motivation for the student. Please click here for Information about my supply lists and Pellon stabilizer. This class is for students who want a general overview of Vikki’s construction technique. In this class students will quickly master the basic concepts of Vikki’s flexible, “no rules”, “no fear” Crazy About Curves technique using a small, simple teaching pattern (complimentary). 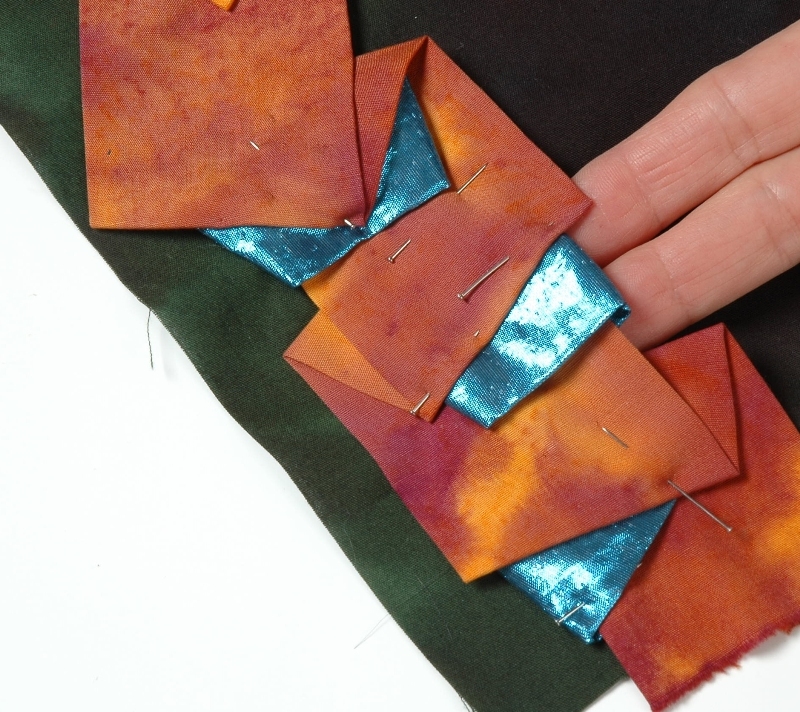 With this method, a meld of piecing and machine appliqué, students learn to create even sharp curves and narrow points effortlessly without the hassle. There are NO measuring seam allowances, NO easing together unruly seams and NO matching points. All construction work, color choices and stitching are done on the quilt top surface. This is a very simple, anyone-can-do technique suitable for all skill levels. 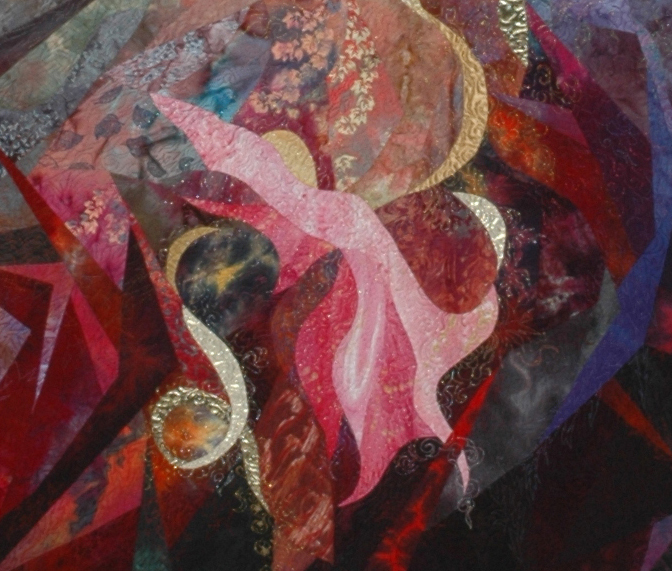 Workshop emphasis is on creativity, inspiration and self-confidence for the quilter. Students work at their own pace. This workshop is for students who want to study Vikki’s construction technique in-depth. Due to the increased time element, this workshop provides more sewing/creative time and personal attention for students. In this class students will quickly master the basic concepts of Vikki’s flexible, “no rules”, “no fear“ Crazy About Curves technique. 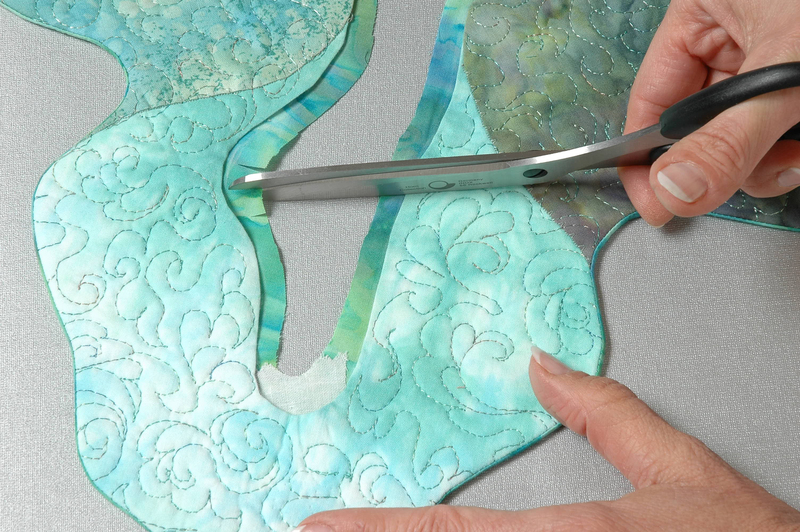 With this method, a meld of piecing and machine appliqué, students learn to create even sharp curves and narrow points effortlessly without the hassle. There are NO measuring seam allowances, NO easing together unruly seams and NO matching points. All construction work, color choices and stitching are done on the quilt top surface. This is a simple, anyone-can-do technique suitable for all skill levels. Students begin by using a small, simple teaching pattern (complimentary) and quickly progress to designing their own free-form simple pattern. 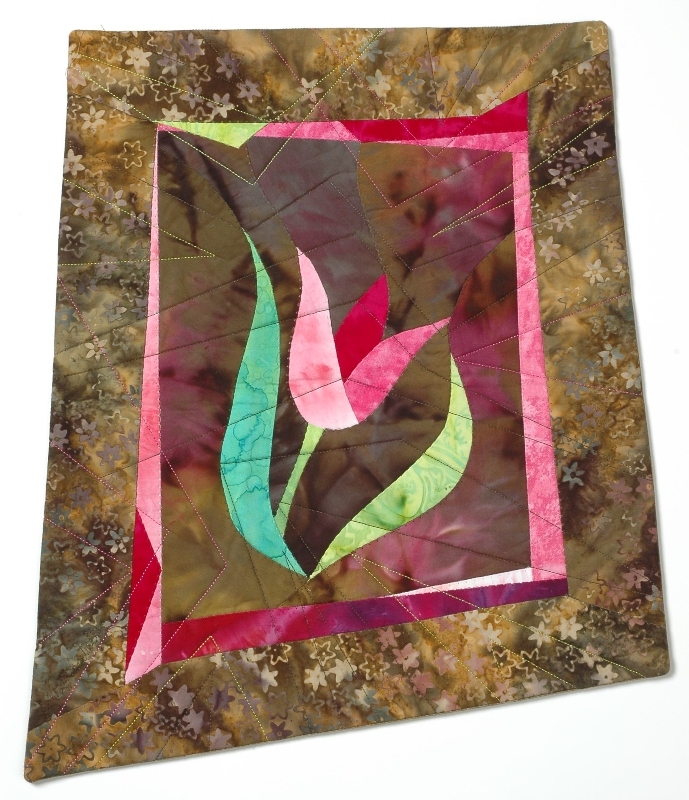 Workshop emphasis is on creativity, inspiration and self-confidence for the quilter. Students work at their own pace. More time for personal attention for students. This class is for students who want a general overview of Vikki’s simple improvisation construction techniques. Students begin the class with a short demo to learn the basic concept of Vikki’s Crazy About Curves technique. Then with a play-as-you-go spirit, students apply the fundamental technique to create improvisational “blocks” of any shape (four-sided, circles, ovals, curvy rectangles or teardrops). This workshop is for students who want to study Vikki’s improvisational construction techniques in-depth. This expanded workshop provides more sewing/creative time and personal attention for students. This relaxing, impromptu approach to piecing curves offers students total freedom in quiltmaking! Students begin the class with a short demo to learn the basic concept of Vikki’s Crazy About Curves technique. Then with a play-as-you-go spirit, students apply the fundamental technique to create improvisational “blocks” of any shape (four-sided, circles, ovals, curvy rectangles or teardrops) and learn to arrange them into a free-form contemporary quilt. 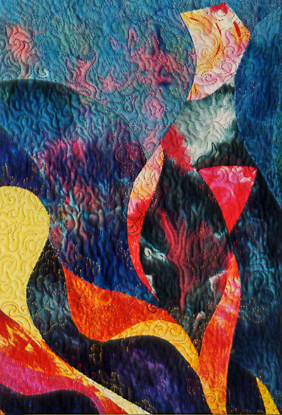 This workshop is for students who want to learn Vikki’s basic improvisational manipulations techniques to obtain dimension and texture in their quilting projects. Using Vikki’s unique techniques from her second book, students will explore unlimited creative opportunities. 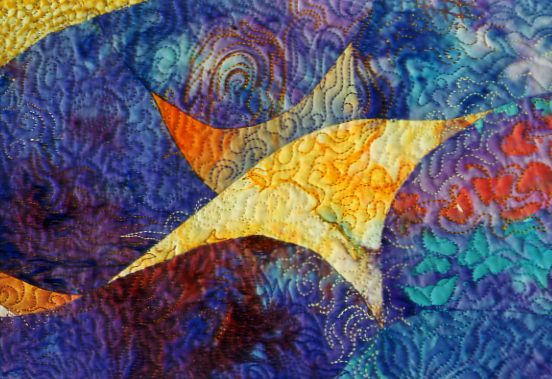 This fun class is a “no rules” approach to quiltmaking and surface design, so come with a playful attitude and desire to explore the unlimited possibilities. Students begin the class with a very short demo to learn Vikki’s basic improvisational procedures. Each student will choose her/his favorite technique among those presented in class and apply it to a project at her/his own pace. 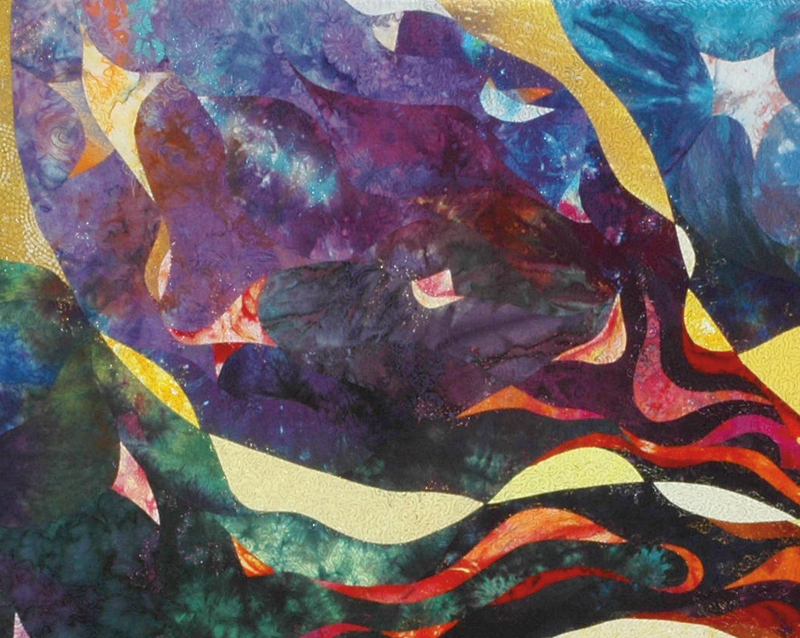 This workshop is for students who want to explore Vikki’s improvisational manipulations techniques to obtain dimension and texture in their quilting projects. Because of the number of exciting techniques presented, this is the recommended class, allowing personal attention and some sewing time for students. Using Vikki’s unique techniques from her second book, students will discover and explore unlimited creative opportunities. 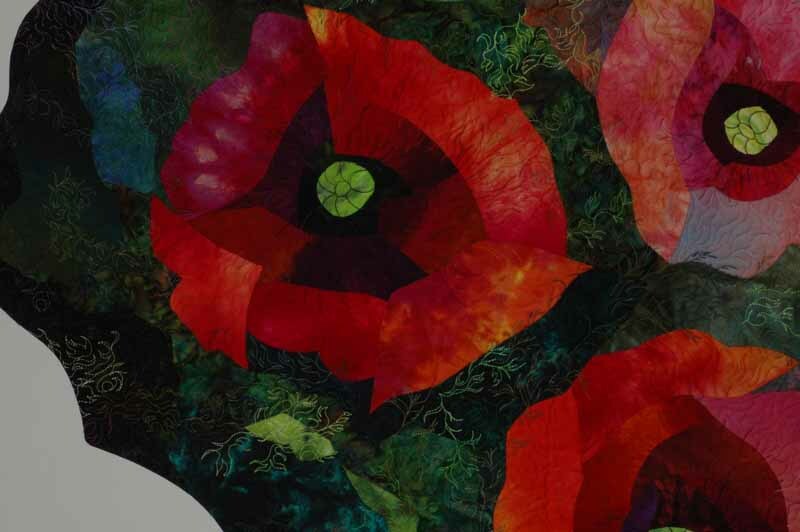 This fun class is a “no rules” approach to quiltmaking and surface design, so come with a playful attitude and desire to explore the unlimited possibilities. Students begin the class with a very short demo to learn Vikki’s basic improvisational procedures. There are numerous techniques presented in this class…each student will choose her/his favorites and explore them at her/his own pace. This workshop is for students who want to study Vikki’s construction techniques in-depth for incorporating openings into their quilts. This expanded workshop provides more sewing/creative time and personal attention for students. Learn Vikki’s unique and innovative approach for creating quilts with smoothly finished open holes. This class features techniques from Vikki’s second book. Students begin the class with learning the basic concept of Vikki’s Crazy About Curves technique. Time for personal attention for students. Skill level: Beginner and Intermediate 6 hour class (lecture based with interactive discussion) No machine required. Are you apprehensive when it comes to working with color? 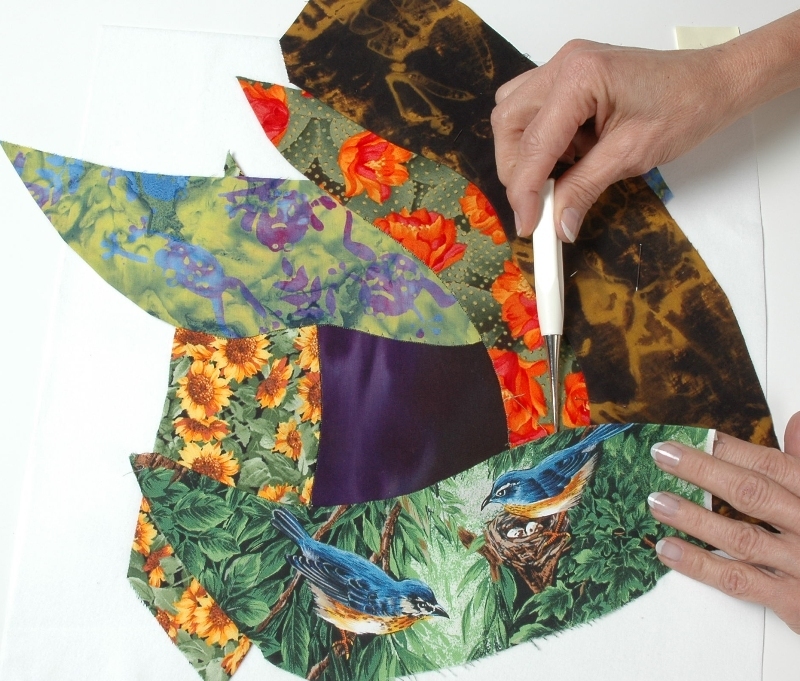 In this class students will learn the basic principles of color and design, especially as they relate to fabrics and quilting. We will cover and explore the different types of contrasts, juxtaposition of colors, color symbolism, mood, and some basic rules of design. The rest of the class will be hands-on and devoted to experimenting with color, obtaining contrasts and balance and interactive discussions and problem solving. Students are given the freedom, encouragement and self-confidence to play and open their minds to the joy of color. Note: Students are encouraged to bring in problematic quilts for gentle, positive critiques. Based on my own experiences, supportive feedback has wonderful benefits for artists…providing artistic insight and enhancing the creative process. I would like to introduce and explain my Workshop Medley options…now with more choices than ever before! You will be able to choose which of my techniques you would like as the main focus for the 2-day (or longer) workshop…. Once you’ve chosen the main technique, you may include a secondary technique. For example, you may choose Improvisation as your main focus, but wish to include some dimension/manipulations instruction as well. Or you may choose the basic technique with manipulations. With each additional day added to the workshop, you may add another technique. Thus, with a three-day workshop you might choose the basic technique, improvisation and manipulation. With this Workshop Medley option, the student will receive more information on the focus technique rather than just the basic technique class with a healthy dose of the secondary subject…plus additional personal attention from the teacher and extra time to sew. Because the medley workshops are made to order, the student supply lists for these workshops will be available to the workshop organizer after the class is booked. Basic to in-depth exploration of all of Vikki’s techniques, with time to finish projects and personal attention. 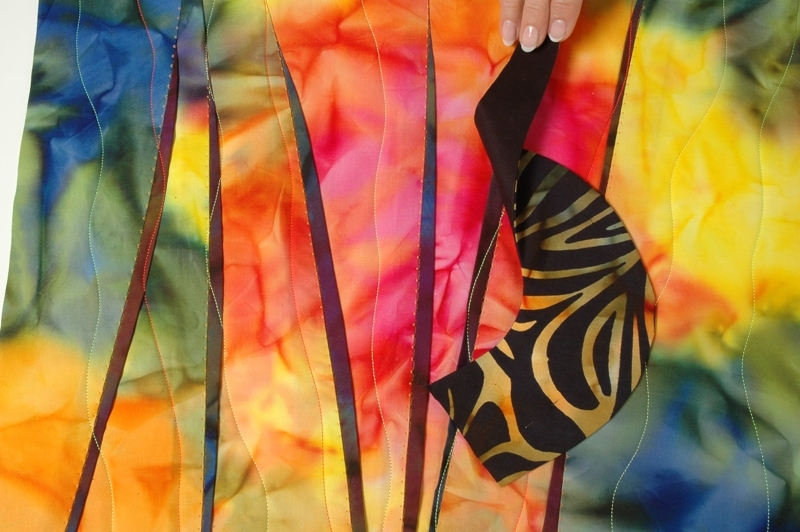 This class covers innovative yet simple ways to handle fabric manipulations, borders, bindings, mitering, three-dimensional patch additions, incorporating open holes in your quilt, finishing/binding irregular shaped work and other improvisations using this method. In class Vikki discusses color, contrasts, texture, creating movement in quilts and how to apply these techniques to the students' own designs. Students are encouraged to play, to explore their creativity and be free to experiment with their work. Each student works at her/his own comfortable pace. The class information listed here is the basis of what I teach in my classes. If you or your organization is interested in organizing a retreat or multi-day workshop please contact me and I will be happy to work with you to set up a workshop that meets the needs of your clients. Several classes can be combined to form a workshop that is suitable for you in both number of class days and content.